NPH can occur in people of all ages, but it most commonly afflicts adults in their 60s, 70s, and 80s. (See Ref 1) NPH is often misdiagnosed as Parkinson’s disease, Creutzfeldt-Jakob disease, Alzheimer’s disease, or another type dementia. – Difficulty with balance and walking. This can include extreme weakness in the legs, where patients can find it very hard to lift their feet off the ground. NPH can be diagnosed with a variety of tests, including brain scans (CT and/or MRI), a spinal tap or lumbar puncture, intracranial pressure monitoring, and neurocognitive testing for memory and cognitive impairment. NPH is usually treated by surgically implanting a ventricle shunt to drain excess cerebrospinal fluid to the abdomen where it is absorbed. 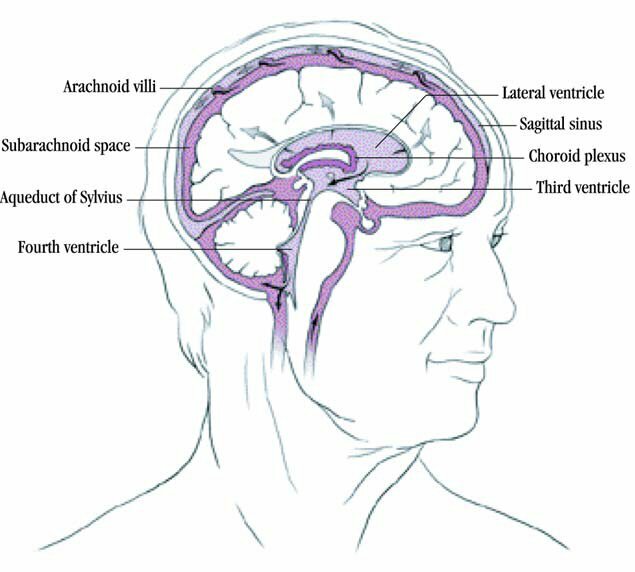 Once the shunt is in place, the ventricles usually diminish in size in 3 to 4 days. Ref 1. Younger, D.S. (2005). Adult Normal Pressure Hydrocephalus. In Younger, D.S. (Ed. ), Motor Disorders (2nd edition) (pp. 581-584). Ref 2. Vanneste, J; Augustijn, P; Dirven, C; Tan, WF; Goedhart, ZD (1992 Jan). “Shunting normal-pressure hydrocephalus: do the benefits outweigh the risks? A multicenter study and literature review.” Neurology 42(1): 54–9. ISSN 0028-3878. PMID 1734324.